It’s finally Friday, which means it’s time for another Destiny Xur location and item post here on PlayStation LifeStyle. This weekend players can spend 19 Strange Coins on Exotic Body Armor Engrams. Hunters can grab the Mask of the Third Man helmet, Titans can pick up the Empyrean Bellicose helmet, and Warlocks can purchase the Skull of Dire Ahamkara helmet, which all cost 13 coins. Xur is also selling a Heavy Weapon Legacy Engram for 31 coins. 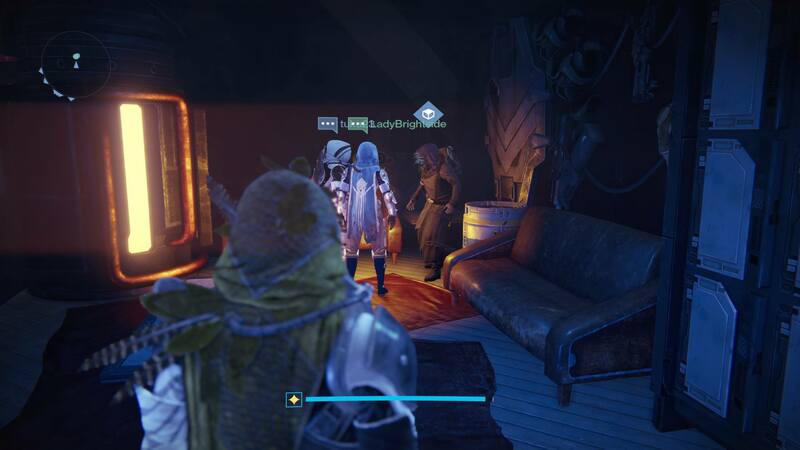 For this week, Xur – Agent of the Nine can be found in the Hangar bar area. In other Destiny news, the King’s Fall Raid: Hard Mode has been moved up a week and now releases today! Also, the No Time to Explain exotic pulse rifle can now be unlocked by those players who completed this secret mission. For those of you who haven’t yet spoken to the Gunsmith this week, here’s the full list of Foundry Orders and Test Weapons available until next Wednesday. Check out the latest patch notes for Destiny right here. The Nightstalker class has had quite the nerf!